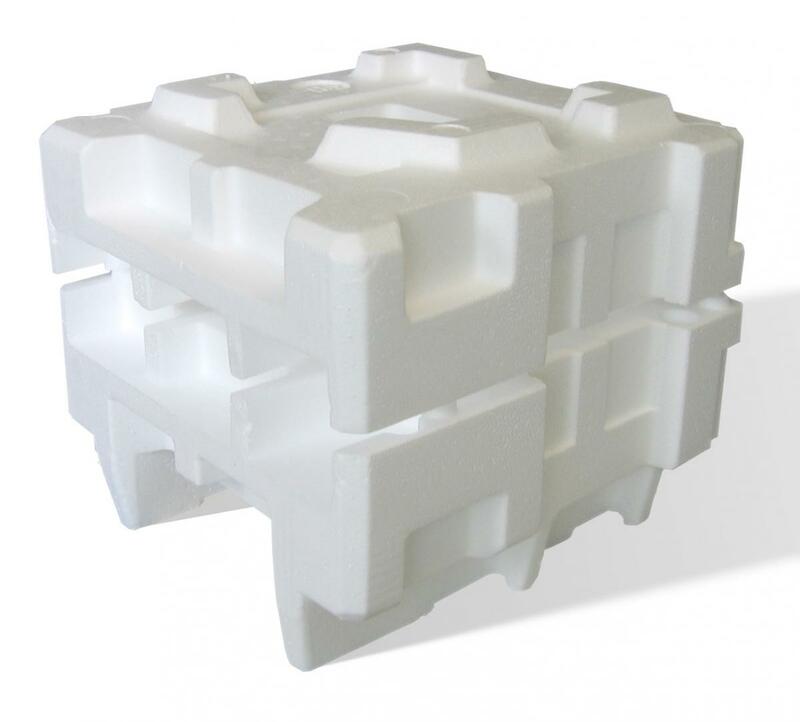 developments,” despite the fact that many are not aware that expanded polystyrene (EPS) packaging is recyclable. Last year saw a modest increase in the number of postconsumer pounds recycled based on data received from 58 EPS manufacturers and independent recyclers in 20 states. The Alliance of Foam Packaging Recyclers (AFPR) released the findings of its 2010 EPS Packaging Recycling Rate Study, showing that more than 71 million lb of EPS was recycled in 2010, including 31.7 million lb of post-commercial packaging, 5.4 million lb of post-consumer packaging, and 34.2 million lb of post-industrial recovery. The AFPR noted that some companies are choosing to promote and support EPS recycling through shared responsibility within the supply chain, including Walmart, which has created a closed-loop EPS recycling strategy that takes the collected material and uses it to create recycled picture frames. In addition, several pharmaceutical companies have implemented pre-paid return shipping recycling programs for EPS biomedical coolers. “Through this integrated approach – with everyone doing their part – increased recycling is achievable,” the AFPR noted. All polystyrene packaging comprises a tiny fraction of the material that goes into our landfills, representing less than 1% by weight and volume of the total municipal solid waste stream, according to the Environmental Protection Agency’s (EPA) Municipal Solid Waste 2009 report. Prior to 1988, there was essentially no recovery of post-consumer polystyrene for recycling, and although the availability of polystyrene recycling programs varies by community, in 2010 more than 71 million lb of polystyrene was recycled. The EPS industry has achieved an average post-consumer recycling rate of 19% and average post industrial recycling rate of 25% for the past 15 years, and as the recycled content of EPS packaging increases, with 10-20 % recycled content being common, energy use typically decreased by 3% to 13%.